In the Canadian Arctic, a mystery has troubled scientists and local communities for decades: Why do marine animals in the western Arctic have higher mercury levels than those in the east? The trend is seen throughout the food web, from the tiny zooplankton that drift along ocean currents to large mammals like polar bears. It matters because mercury is a contaminant of global concern and communities in the North rely on the ocean for food. Mercury can cause reproductive problems in some animals, severe neurological damage in people and hamper the development of infants. Earlier studies had tried to explain the east-west difference by looking at where the mercury that winds up in the ocean comes from. But our new study shows that the answer to this mystery lies in the ocean itself. 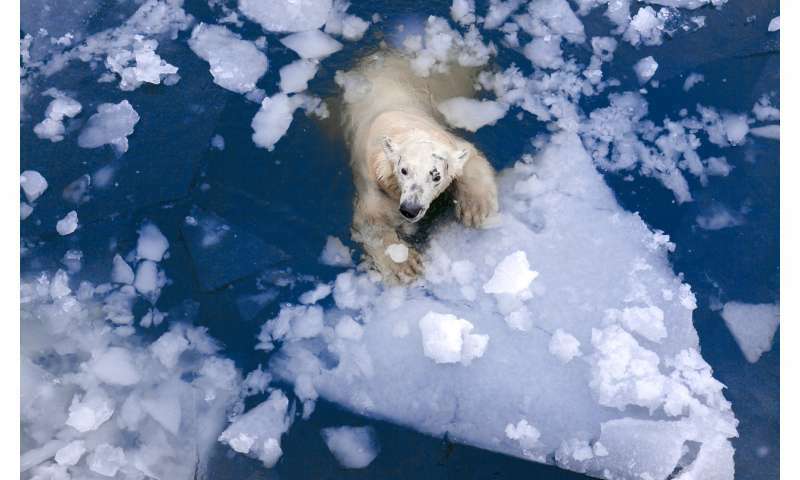 In the Arctic, marine mammals such as polar bears, beluga whales and seals are an important part of the traditional subsistence hunt and the culture of northern Indigenous peoples. With Arctic communities bearing the brunt of the impact of climate change and global industrialization, the high levels of contaminants, especially mercury, found in these animals —and in people —has received a lot of attention. Frequently, northern Indigenous mothers and women of child-bearing age have blood mercury levels that exceed the safe limit. Maintaining the nutritional and cultural benefits of marine country food, such as seal and whale, while mitigating the potential health risks from mercury has become a major challenge to Indigenous peoples in the Arctic. Prior research suggested that marine animals in the western Canadian Arctic contain more mercury because the region receives more mercury from a variety of sources, including atmospheric emissions from eastern Asia, river discharge from large watersheds such as the Mackenzie and coastal erosion and permafrost thawing. However, the mercury from all these sources exists almost exclusively in its inorganic form, as mercury vapour and mercury that is bound to dust particles, for example. Once it's in the ocean, however, some inorganic mercury can be converted to an organic form, called methylmercury. 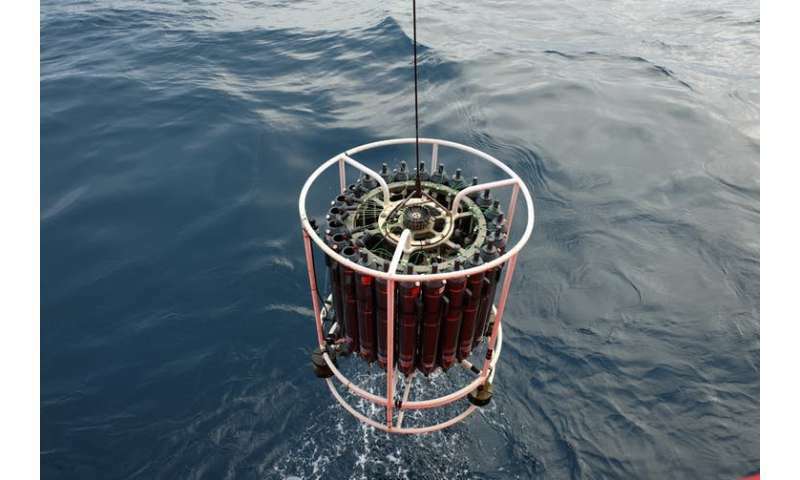 Not only is methylmercury taken up more efficiently by plankton and other microorganisms, but it can build up, or bioaccumulate, in organisms as it moves along the food web through a process known as biomagnification. As it does, it tends to inflict more harm on predatory fish, birds and mammals. For more than a decade, scientists have suspected that the most important factor controlling mercury levels in Arctic marine animals is not where the mercury comes from (sources), but, rather the conversion of inorganic mercury to methylmercury in the ocean (processes). Now we have the answer. During the summer of 2015, we joined an expedition to the Canadian Arctic led by ArcticNet, a Canadian research network dedicated to the study of the changing Arctic, in conjunction with the Canadian Arctic GEOTRACES program, to study the distribution patterns of mercury along with other trace elements. We spent eight weeks living aboard an icebreaker, the CCGS Amundsen, where we analyzed seawater samples collected at various depths along a 5,200-kilometre transect that began in the Labrador Sea in the North Atlantic Ocean, transited through the Canadian Arctic Archipelago and continued to the Beaufort Sea and the Canada Basin in the west. Our results found that the concentrations of total mercury – inorganic mercury plus methylmercury—are generally lower in the western Canadian Arctic than in the east. This runs counter to mercury trends observed in marine animals. Methylmercury, on the other hand, shows very revealing distribution patterns: its concentration is lowest at the sea surface, increases to a maximum at depths between 100 and 300 meters, and then decreases towards the bottom of the ocean. This pattern, where an ocean layer below the surface is enriched with methylmercury, has been seen in other oceans. What makes our discovery different is that the "methylmercury-enriched layer" in the Arctic occurs at much shallower depths than elsewhere. We also found that the peak concentration of methylmercury in the enriched layer in the Canadian Arctic is highest in the west and lowest in the east, mirroring the mercury trend in marine animals. The shallowness of the methylmercury-enriched layer is important, as it lies within the habitat of zooplankton and other organisms near the bottom of the food web. This allows methylmercury to be readily taken up by these animals, and subsequently biomagnified in mammals. So we think we have solved the mystery: the higher mercury levels in marine animals in the western Canadian Arctic are caused by higher methylmercury concentrations in shallow marine waters. In 2017, the Minamata Convention on Mercury - a legally binding, global treaty that aims to reduce mercury in the environment—entered into force. Canada played an active role in the negotiations of the treaty and was among the first nations to ratify it. Yet our study implies that it will take a long time for mercury levels in Canadian Arctic marine mammals to decrease, even if the convention is fully implemented. Recovery will depend very much on environmental and climatic processes such as those that convert inorganic mercury to methylmercury. Policy-makers and northern Indigenous peoples should be prepared for the long-term need to balance the benefits and risks of the consumption of marine country food. Why is the peak concentration of methylmercury in the west higher than in the east Canadian Arctic? What influences the depth at which the peak methylmercury concentration occurs?